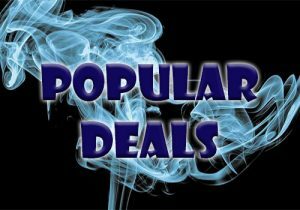 Check out these cheap deals for the Smok H-Priv 2 Mod or Starter Kit. 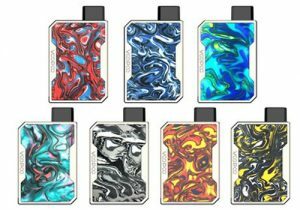 The 225 watt mod has a luxurious cobra pattern finish and will produce huge vapor with the included TFV12 Big Baby Tank that has a massive 6ml capacity and patented top fill system. 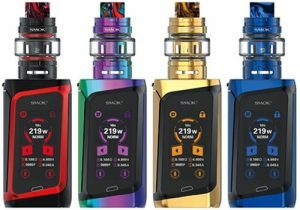 The Smok H-Priv 2 Kit includes a 225W box mod and the latest TFV12 Big Baby Prince Tank. 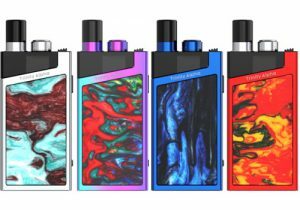 The mod features amazing aesthetics, easy of use, a top located display, dual 18650 batteries compatibility, versatile temperature control and easy battery access. 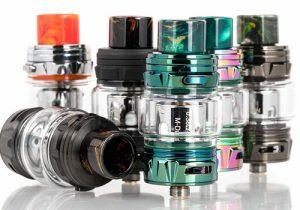 The TFV12 Big Baby Prince has a wide range of coil options, a snake grain drip tip, a patented top fill system with lock mechanism and a massive 6ml capacity. 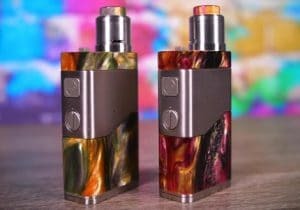 Design-wise, the H-Priv 2 Box Mod looks completely different from its predecessor the H-Priv. 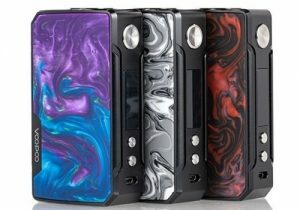 First, there’s the exquisite finish that has a a cobra pattern that is extremely detailed and symmetrical to result in a similar look as Smok’s G-Priv 2 Luxe. 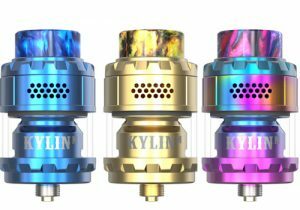 The second difference is the myriad of color options that include black, prism chrome, red, prism blue, prism rainbow, prism gold, auto pink, purple and green. 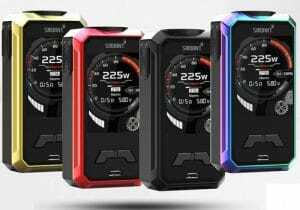 Size wise, the H-Priv 2 has measurements of 52mm x 27mm x 84mm and weighs 165g, so it is convenient to hold or place in the pocket for use on-the-go. At the top of the device, there’s an almost identical display as its predecessor. Because of its location, vape data on the screen is easy to read even while firing. 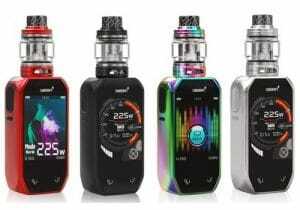 The menu’s layout is compact, but still includes statistics such as current power level, current temperature, current atomizer material, current mode, two battery bars, current resistance, current voltage and puff time. 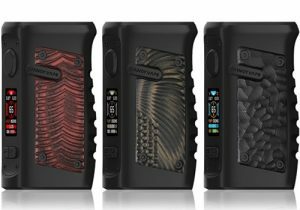 Spanning one entire side of the H-Priv 2 Box Mod is a large black fire trigger that makes using the mod easier than ever and is ergonomic. Above the fire key, you will note a horizontal up and down button. At the bottom of the mod, you will see a battery cover that hides the battery bay. It easily slides and flips open to reveal the battery bay with dual 18650 cells (not included). 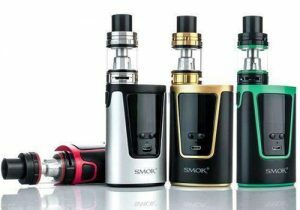 Swapping the batteries to charge them up is very easy, but you may also use the Smok H-Priv 2’s micro USB charging port to charge the cells without removing them. 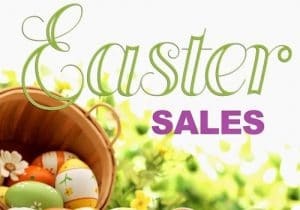 Included with purchase, you will receive a superior Priv micro USB cable that utilizes higher quality materials and is made with a protective coat to be safe and flexible. Additionally, the springs on both ends of this cord prevent potential damage. This USB cable will definitely stand the test time while making firmware upgrades a breeze. 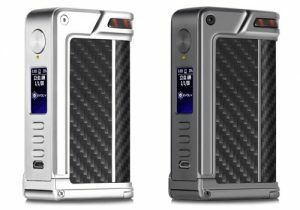 On the technical level, the new H-Priv 2 mod looks to have about the same capabilities as the previous version. The device can operate in the range of 1 watt to 225 watts, has a temperature range of 200 to 600 degrees Fahrenheit and a minimum resistance of 0.1ohm in power mode or 0.05ohm in temperature modes. 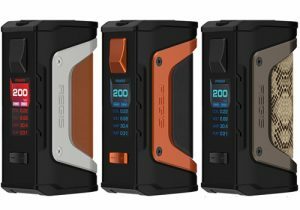 While not listed, this device will certainly work with all element types such as nickel, titanium and stainless steel and may have a TCR mode. 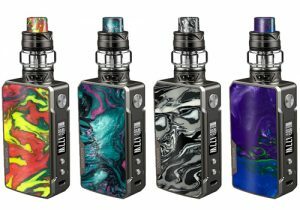 Built into the mod are multiple protections that include intelligent atomizer recognition, puff monitoring, 10 second cutoff, short circuit protection, overheat protection and over-discharge protection. Very safe to use! 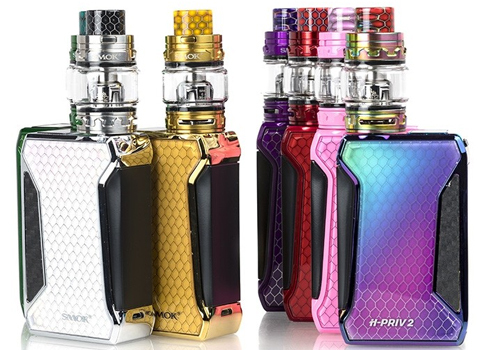 Included with the Smok H-Priv Kit 2 is the latest TFV12 Big Baby Prince Tank that is made from stainless steel and a Pyrex glass reservoir. 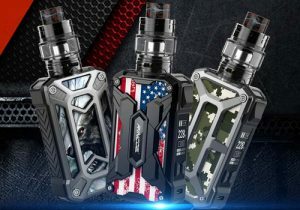 The Prince series of tanks are popular because of their massive vapor production and this new version will certainly be no exception. This new tank has a diameter of 28mm, a height of 55mm, weighs 62g and includes a snake grain wide bore drip tip to compliment the mod’s design and improve airflow. 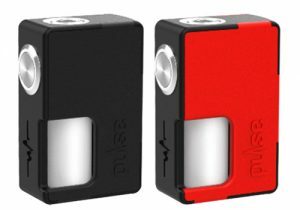 The tank capacity comes in at a massive 6ml because of its enlarger bubble style tank section that is 33% wider. Refills are also made convenient thanks to a top fill system that swivels the top cap upon a simple press of a patented lock button. This lock mechanism is not only easy to operate but also prevents any possible leaking of juice. Dual bottom adjustable airflow slots result in massive airflow and further enhance vapor production. These intakes can be closed all the way, can be set to wide open or can be effortlessly adjusted anywhere in between. 0.15ohm V8 Baby T12 (included): Duodecuple coil that results in massive vapor with lots of flavor . It has a range of 50 to 90 watts, but has a recommended output of 60 to 80 watts. 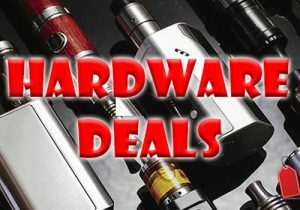 0.15ohm V8 Baby T12 Red Light Coil (optional): Huge vapor and a red light will light up the tank. It has an output range of 50 to 90 watts, but is best from 60 to 80 watts. 0.15ohm V8 Baby T12 Green Light Coil (optional): identical to the Red Light Coil but lights up green. 0.15ohm V8 Baby T12 Orange Light Coil (optional): identical to the Red Light Coil but lights up orange.